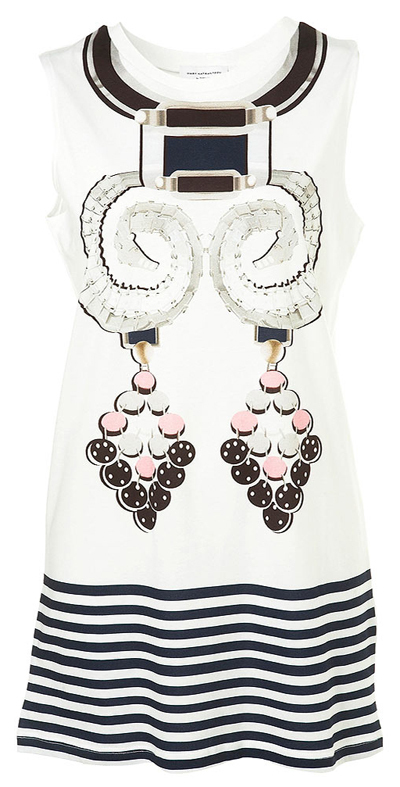 I just ordered that Mary Katrantzou for Topshop dress, the one with the green jewellery print. 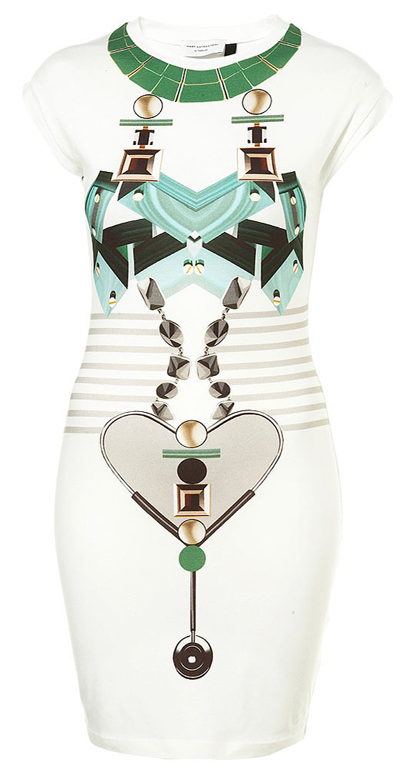 It might be the most body-conscious of all three dresses, but that print is the one I initially fell in love with and the one I personally think is closer to the whole Katrantzou feeling. I ordered at least one size up anyway, just to be on the comfortable side. And yes, I know I really shouldn't be shopping any more (I'm contemplating putting myself on a shopping ban for some months) but I always try to look on the bright side: Shipping was only 6 euros! 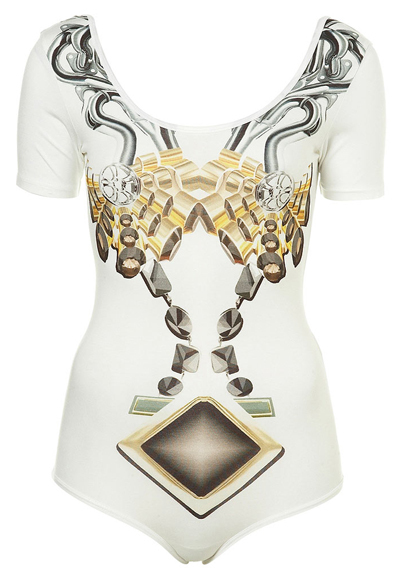 See all four pieces of the Mary Katrantzou for Topshop collection here. ta prints tis Katrantzou einai apisteyta kai ksexwrista!!! to teleytaio forema einai idi agapimeno mou!!! I love Mary's designs. They are so beautiful. It's great that she is going with Topshop, maybe it can help her brand grow. OMG OMG OMG einai fovera ola!!!!!! Η κοπέλα έχει φοβερό ταλέντο πάντως. Τέλεια η επιλογή που έκανες, μην νιώθεις τύψεις γιατί είναι τόσο ιδιαίτερο κομμάτι! πάρα πολύ όμορφα και είναι και TOPSHOP ..
Congrats! U got an awaaaaard!